"I travel a lot but hands down this was my most memorable trip. Santiago de Compostela has an indescribable magic. My intention was to workout and see new frontiers. The Camino had something else in mind for me. I learned a great deal more about myself and came back home transformed and with a sense of peace, happiness and well being. 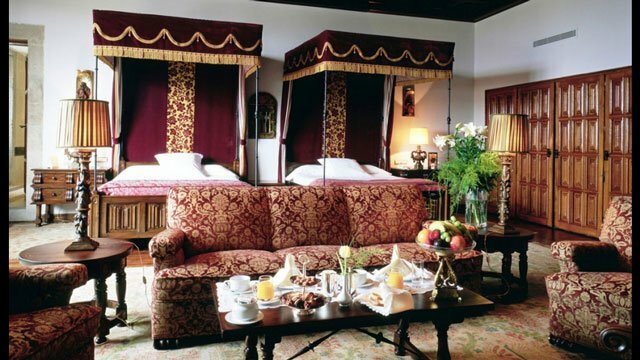 My journey was super comfortable and Camino Ways was excellent in preparing my hotel stays. 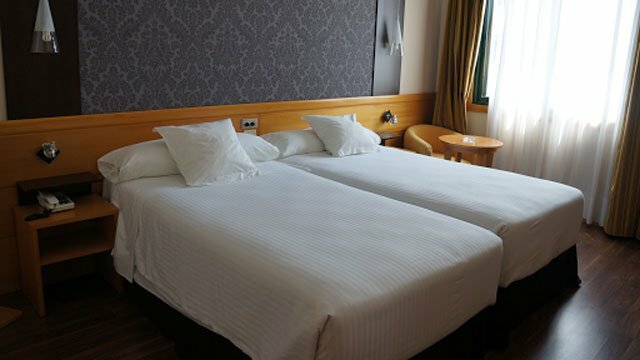 I had to make some minor adjustments during my Camino and the staff at Camino Ways was very helpful and prompt in addressing my needs. FYI my friend with whom I walked the Camino paid double and got pretty much the same thing I did! I was trilled to have obtained a good price for a first class trip. The top rated Parador Hotels along the way were a treat for my tired body. I highly recommend doing the Camino and if you don't want to stay in hostels and prefer a little bit more comfort and great meals, Camino Ways is the way to go. Thank you Camino Ways for being part of the best trip of my life!" 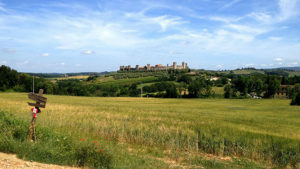 Alma walked the Camino Portugues. If you are looking to experience the Via Francigena in Tuscany at your own pace, this is the perfect trip for you. 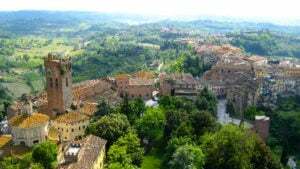 You will be walking the picturesque stretch of the Via Francigena from San Miniato to the UNESCO World Heritage city of Siena. You will walk through the heart of Tuscany across rolling hills and beautiful woodland over 7 days and staying in the gorgeous villages along the way, including San Gimignano, which means you will be covering a manageable average of under 20kms per day. 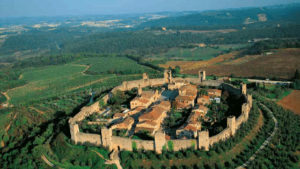 The town of San Gimignano itself is truly breathtaking with its medieval towers. 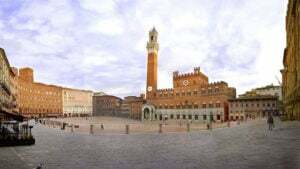 The section ends in the magnificent Siena, steeped in art, history, culture and gastronomy. If you travel in July or August, you might be able to witness one of Italy’s most traditional horse races: the Palio di Siena. If you travel in Autumn, this part of Tuscany is world-famous for its white truffles so foodies are in for a treat! All along the way you will taste delicious Italian cuisine. You arrive in San Miniato. 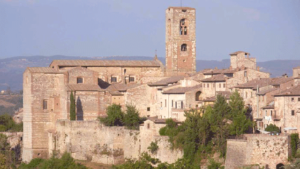 Once you are leaving Gambassi Terme, you will have a pleasant walk through olive groves and cypress avenues up to the village of Montecchio. 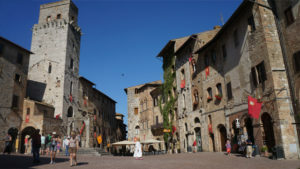 In Colle Val d’Elsa, enjoy a glass of Chianti in the central piazza.